By resolution of the General Assembly of the United Nations, various days are promulgated as “International Days”. This gives attention to particularly worthy causes. 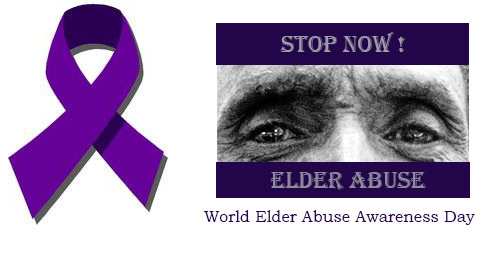 Since late 2011, fifteen June each year has been promulgated by the UN as World Elder Abuse Awareness Day. 2016 will be the fifth such day. Opportunity + incentive = elder abuse. Opportunity + incentive + legal involvement ≠ elder abuse? We probably need to firstly appreciate that elder abuse can take many forms. Statistically, it seems that the most prevalent is financial abuse. It is that type of abuse that will most likely involve a legal transaction and therefore involve interaction by either the abuser or the victim with the legal profession. Therefore, an awareness of the legal transactions which can amount to financial abuse should assist solicitors counter abuse of an elderly client. So the second level of awareness is that financial exploitation or abuse can appear in many and varied legal transactions. They range from the fraudulent transfer of the title for a person’s home to abuse of an enduring power of attorney. It can mean loans, guarantees and mortgages where little or no benefit is received by the borrower, guarantor or mortgagor. It can involve gifts of assets including real estate, the making of agreements for the use of a granny flat or other undocumented alternative accommodation arrangements, the misuse of bank accounts and the dishonoured promise of care. And this is by no means a comprehensive list of the legal transactions where a solicitor should be alert to possible elder financial abuse. When certain additional facts are combined with a legal transaction of the type described, a practitioner’s awareness should turn from alert to alarm. Common features which point to the possibility of abuse include an elderly person’s changed location, changed solicitors especially from long standing solicitors who are still practicing, regular changes of wills or powers of attorney, family tensions and the request for documents being produced at the instigation of another person – not the elderly client – especially the elderly person’s fiduciary or beneficiary. the need for independent legal advice. So what can a solicitor do? I chair a Working Group on Elder Abuse established by the Law Society of NSW. Later this year I expect to return to this question with more comprehensive information. At this point, let me make a general comment and draw your attention to an approach which may have stopped the elder abuse apparent in a recent court decision. The general comment is that a lawyer who is aware of the potential problems can take appropriate action to prevent, delay or lessen the abuse. The recent decision gives some content to that comment. The recent court decision involved transactions by the son of Aviva Cohen. At the time of the court hearing Ms Cohen was 92 and a high care resident of an aged care facility. Shalom Cohen, her son and sole beneficiary of her last known will, was also her attorney. In 2013 Shalom, as his mother’s attorney, executed a Transfer of his mother’s home to himself for consideration of $1. The court decided that the attorney had breached his fiduciary duty by preferring his interests when his mother had expenses at the aged care facility and she was unable to provide informed consent. It ordered that the home be re-transferred to Aviva: Cohen –v- Cohen  NSWSC 336. The solicitor who acted for the son in the transaction held the Certificate of Title for the mother. When challenged about his involvement, the solicitor stated that it was appropriate to prepare the Transfer as the attorney was the home owner’s sole beneficiary and she did not have mental capacity.